Obviously it is a very simple product and it's fine to protect a small number of servers since it hasn't a centralized management interface. Let's say that it's okay if you have virtualized everything except those 2 or 3 servers that, for some reason, you still hold in physical. Otherwise to backup some particularly important pcs. Only one thing about the installation… keep in mind that you install a sql express 2012 that will eat a bit of ram (between 256 and 512 mega). 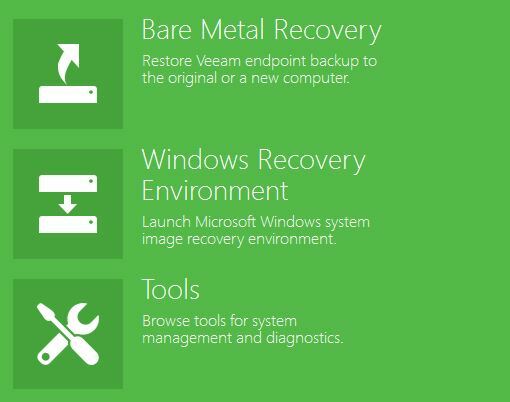 In this article I wanted to show the ability to create a recovery media to do a bare metal restore of a backed up machine by endpoint. Already during the installation you are asked if you want to create a recovery media, following the wizard you will create a bootable iso containing the drivers of the machine so that you can later restore the entire machine through a backup previously executed even in the case where the original operating system is no longer usable. 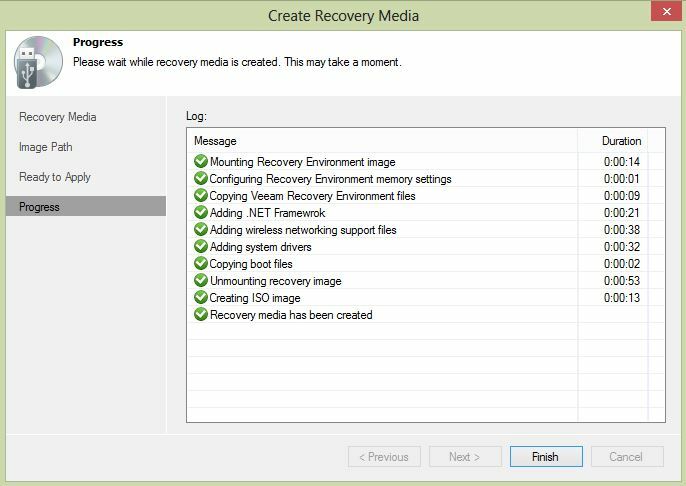 If you decide to skip the creation of the recovery media in the initial setup, you can always start the wizard from the endpoints menu with the option “Create recovery media”. First choose the drivers to inject in the image, by default the option to insert the drivers installed on your computer is already checked, but if you want you can add others by hand. 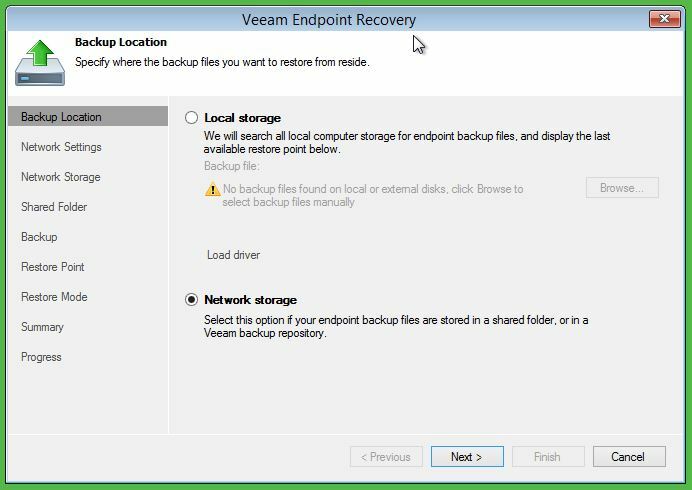 The drivers are critical because in case you need to boot with the recovery iso is good to properly see at least disks and network (if you have the backup on a network share or in a Veeam repository). I will not show you the third step because it's simpy a summary of the options and clicking Finish endpoint will start creating the iso in the path you have selected. 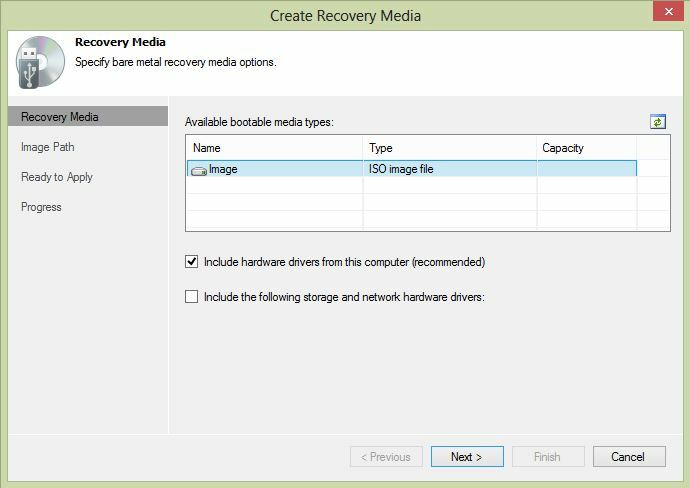 Ok once you have configured the backup and you have performed at least one full backup, you can take advantage of the recovery media to completely restore the protected machine. 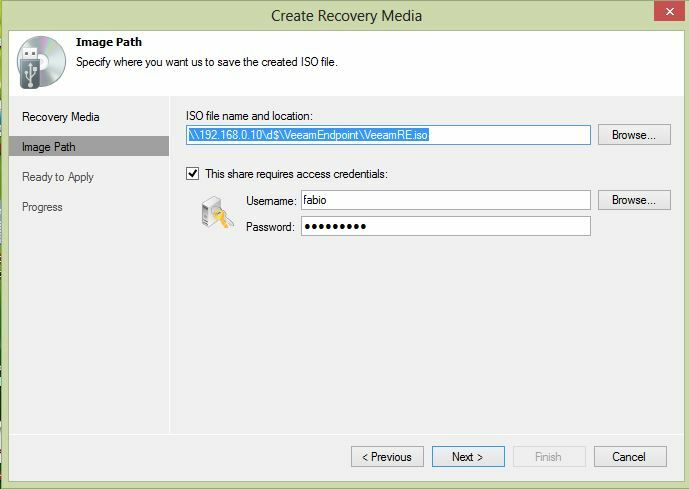 Then….. to proceed with the restoration through veeam recovery media you have to mount the iso or burn it to a DVD, depending on what you have available (i.e.. the iso can be mounted if you have a management system like the Dell iDRAC, Ilo for HP…. I do not know how the hell it's called the one from IBM). 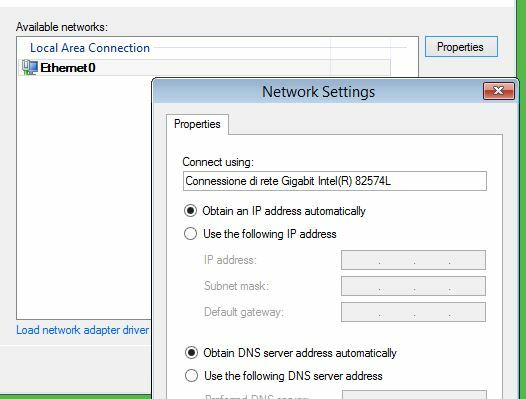 Ok the next step is to select the real network repository and the choice is between network share or veeam repository… I personally have only the possibility to use one network share, because the option to use a Veeam repository is not available in the beta. Well well, once you have entered the correct path it will show you a list of the machine backups in the repository and all you have to do is select the one that interests you (you might have a single repository for multiple backed up machines) and, next step, you will need to select the temporal backup you want to restore. Summary and then you can start with the restore! Ok restore has been successful! Now you have to reboot the server that will be in the just restored state! Finished!! !